It’s that time of the week again; your diary is blank and begging to be filled! Well look no further. We’ll sort out your evenings in the city this week, whether that be for an injection of culture at an art exhibition or for a couple of laughs at the latest comedy night. Hang about in the city 26 March – 1 April to enjoy Sheffield at its finest. As always, share your early evening endeavours using #SheffAfter5! This collaborative exhibition at The Holt Café on Arundel Street, will see works from Jim Spendlove and Dan Bell stand side by side in an exploration of several varying themes. 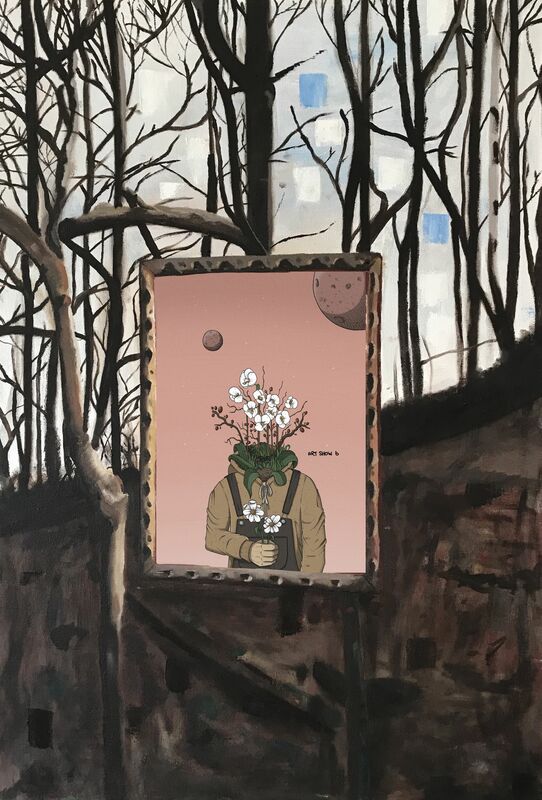 Spendlove’s work aims to display the juxtaposition between urban living and the natural world, using the growth of plants to mimic human growth, while Bell explores the relationship between us, the viewer, and the two-dimensional nature of art. Opening on 26 March and running until 6 April, ‘What Space?’ will bring an injection of the surreal into your life, as well as make you consider arts underlying messages. Poetry publisher and writer development agency, Sheffield-based The Poetry Business, plans to bring a night of exploration into poet and playwright Louise Wallwein’s childhood experiences to Waterstones in Orchard Square. Through award-winning performance poetry and script from her book Glue, Louise will explore meeting her birth mother, and being carted between carers as a child. If you’re looking to become encapsulated in a tale of one woman’s fierce independence and emotional vulnerability, then this is life-affirming evening is for you. Get your tickets here. Head to Bloc Projects to hear to South London artist, educator, activist and writer Liv Wynter share her experiences; since graduating from Goldsmiths in 2015 to establishing herself in the political art scene, Liv has accomplished a fair bit. This free Salon 18 event will form part of Making Ways, which is a new programme being supported by Sheffield Culture Consortium. If you’re interested, make sure you get your tickets via Eventbrite, as capacity is limited! A new Open Mic Comedy Night launches in the city centre this Thursday. Comedy Hose hosts Arron Jones and Ellie Pollard will showcase acts from some of Sheffield’s up-and-coming talents, and what’s more, you’ll be able to get a 12” pizza and a cocktail for £10 using your Dine Sheffield voucher! Free comedy? Cheap pizza? What more could you want? The car park opposite Plug will play home to Smo.Fo Pit.Stop Smoked Food’s brand new monthly pop-up event, perfect for BBQ, beer and music fans, on Friday. Treat your taste buds to some smoked BBQ foods, including briskets, pulled pork, and homemade mac and cheese, before washing it all down with craft beers from two of Sheffield’s finest breweries, Abbeydale Brewery and Sentinel Brewhouse. It doesn’t stop there! As well as a cocktail bar, enjoy various live music acts across the weekend. If you have yourself down as a master of heat, enter into the Smoke Ghost Chilli Corn Challenge where you’ll need to eat a pint of smoked corn laced with ghost chilli in return for a £25 bar tab! Grab your tickets from Skiddle now!